Beautiful overcoat. I also love your floral heels! Love the colors in this look! Love those shoes especially! Very cute color combination and also loving the shoes! That coat is lovely, but lets talk about these shoes!! These are such a beautiful pair of heels and very pretty and unique bag! Light blue has been my favorite color for this spring, so beautiful! Love the look! everything! It's just perfect! 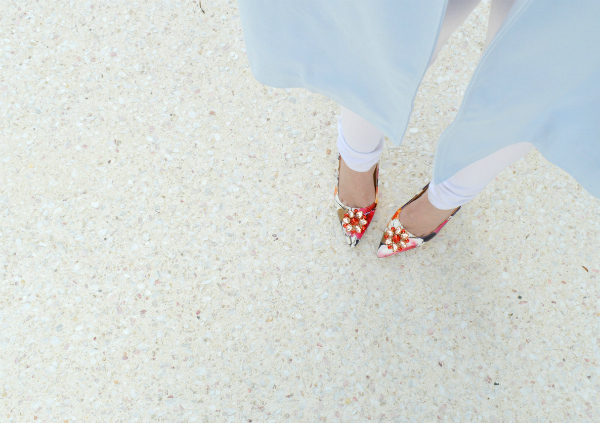 Love this combination of the floral heels with the sky blue coat! 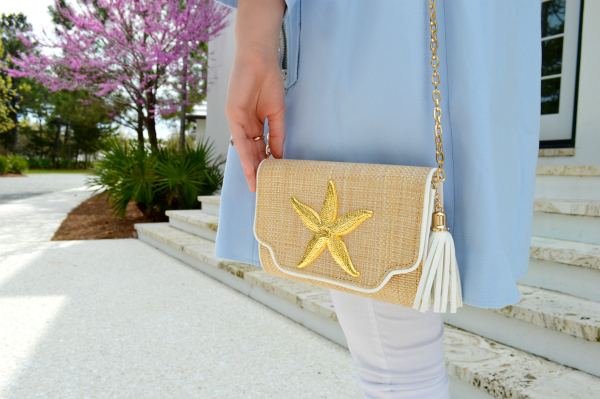 That may be my favorite color this season- so chic and perfect for spring! Wow, this is the greatest outfit I've seen in quite a while!! Love the coat and the shoes! And they go so great with the white jeans! Beautiful outfit, love the colour of your coat. Love the blue with the coral! Great outfit!! i love this outfit, yous heels are gorgeous. 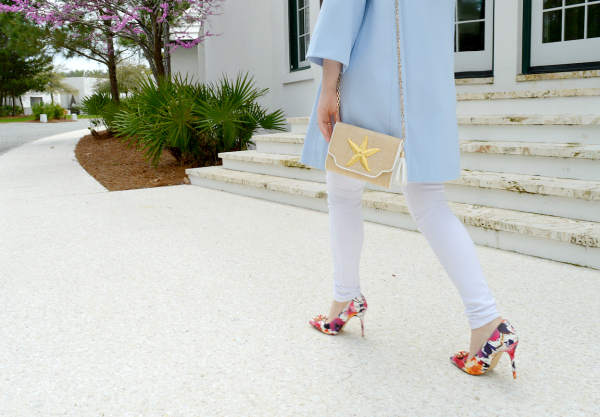 great outfit; so loving the shoes and powder blue coat! Gorgeous coat! Love the way you styled this! Amazing outfit - you look stunning! Good photo shoot specially her coat is exceptional and heels are also nice .